For that reason, I was pleased in 1997 when Congress funded the National Reading Panel (NRP) to evaluate research about teaching children to read. The panel's charge was to review existing studies, choose those that were well designed and well implemented, and synthesize their findings. The results were published in 2000 (National Institute of Child Health and Human Development, 2000), and became the basis of the Reading First grant program included in the No Child Left Behind legislation of 2001. Although there was initially a good deal of controversy about the findings of the report, all U.S. elementary school teachers were soon very aware of the five "essential elements" of reading instruction (phonemic awareness, phonics, fluency, vocabulary, and comprehension). Teachers of English language learners (ELLs), however, were left to wonder if and how the findings of the NRP applied to their students. How do you teach phonemic awareness and phonics in English to students who can't yet hear and distinguish the sounds? How do you teach fluency to students whose control of the structures of the English language is still limited? How do you teach them grade-level vocabulary when their vocabulary knowledge starts so far behind that of their English-speaking peers? How do you teach reading comprehension in English when they don't yet comprehend the English language? Now there appears to be help. In 2002, the U.S. Department of Education funded the National Literacy Panel on Language Minority and Youth to survey, select, and synthesize research on teaching language-minority students to read and write. Their report was published recently (August & Shanahan, 2006). Literacy in the native language is an advantage. We already knew this (see, for example, Collier & Thomas, 1997), and it doesn't help teachers working in situations where literacy instruction in the native language is not possible. Substantial coverage of the five essential elements of reading instruction helps. However, this finding is based on only 14 studies that looked at instruction of the essential elements of reading with ELLs. Because of the small number of studies, this recommendation is based on the fact that there is nothing in these 14 studies that contradicts the findings of the numerous studies of native speakers that were reviewed by the National Reading Panel. Also because of the small number of studies, no specific practices could be advocated for teaching the essential elements of reading to ELLs. Reading programs for ELLs should include intensive language development as well as instruction in literacy strategies and skills. This recommendation is not based specifically on the research, because there were no studies that addressed the inclusion of intensive language development in reading instruction for ELLs. It is instead a hypothesis drawn from several other findings: (1) native speakers benefit more from instruction in the essential elements than do ELLs; (2) ELLs with greater language proficiency benefit more from instruction in the essential elements than do those with less proficiency; and (3) instruction in the essential elements with ELLs has a greater effect on decoding and fluency than on comprehension. Instruction needs to be adjusted to meet the needs of ELLs. Provide additional work on English phonemes that are not present in the students' native language. If students are literate in their native language, focus on differences between that language and English, with less attention given to elements that will transfer. Provide extra practice in reading words, sentences, and stories. Use cognate words in the native language as synonyms when teaching vocabulary. Identify and clarify difficult words and passages. Consolidate knowledge of the text through the use of summaries. Find appropriate ways to use the native language. These seven findings do not constitute a reading program for ELLs. We obviously need much more research. However, given the fact that teachers cannot wait until research catches up with their needs in order to implement effective practices with their ELL students, I think it is important to look not only at the research that is available, but also at what experienced, reflective teachers of ELLs (and observers of those teachers) consider to be best practices. The rest of this article will discuss the implications of available research on instructional practices in the teaching of the five essential elements of reading to ELLs, based on the findings of the National Literacy Panel as much as possible, but also drawing on information from reliable sources such as The Knowledge Loom: Spotlight on Elementary Literacy (The Education Alliance at Brown University, n.d.), as well as my own experience. ELLs cannot develop phonological awareness in English until they are familiar with the sounds of English. These are sounds that either don't exist in the native language (most of the short vowel sounds of English don't exist in Spanish, for example), or sounds that are perceived as different in English but the same in the native language (such as /r/ and /l/ for speakers of Japanese, or /b/ and /v/ for speakers of Spanish). Because these differences vary from one language to another, teachers will have to become familiar with which sounds of English will need extra practice, depending on the language backgrounds of their students. However, this skill does not facilitate reading comprehension if students' oral language proficiency is not developed to the level of the texts they are expected to read. For this reason, reading instruction should be combined with intensive development of the oral language needed to understand the text. Skills practice that is embedded in meaningful texts helps ensure that decoding skills don't progress beyond students' ability to comprehend the text. Teachers must be aware of whether a students' native language uses a non-Roman alphabet or is non-alphabetic. Even if ELLs have had no instruction in reading in the native language, environmental exposure to a different writing system can negatively affect the ease with which they learn to recognize the letters of the English alphabet. Teachers must pay attention to the meanings of the words used to teach phonics skills. Teaching students to decode words they don't know only reinforces the idea that "reading" is pronouncing sounds out loud rather than creating meaning. ELLs cannot achieve fluency in oral reading before they have achieved fluency in speaking. Repeated readings of texts that contain unfamiliar vocabulary and sentence structures will not increase fluency. When working on developing fluency, be sure that students are reading texts that they are familiar with and can understand. Students' own language experience stories are a very good choice, as are read-alouds that students have heard several times and discussed. ELLs' normal self-consciousness about accents and errors can affect their reading fluency, especially if they are asked to read aloud in front of the entire class. This effect will be magnified if students are openly corrected or criticized. Fluency practice for ELLs can be facilitated by having them read along with the teacher, or by reading chorally with a group. If individual oral reading is necessary, provide an authentic purpose for the reading (such as a theatrical performance, or delivering information that the rest of the class needs), and let students practice first with a partner. Decoding skills, fluency in oral reading, and reading comprehension interact in various ways. The ability to decode words easily is obviously necessary for fluency, and it also facilitates comprehension by allowing the reader to pay more attention to meaning. Comprehension, in turn, facilitates fluency by making it easier to recognize new words. Effective instruction for ELLs integrates these three elements of reading (plus vocabulary learning) into the same lessons using the same text, as each element helps build and reinforce the others, producing a multiplier effect. ELLs need more vocabulary instruction than their native-speaking peers. If a native-speaking child enters kindergarten knowing about 5,000 English words, and an ELL with no previous exposure to English enters the same class knowing no English words, it's obvious that the same instruction for each of them will not produce the same results. Everything a teacher of ELLs does should revolve around vocabulary acquisition-explaining, demonstrating, drawing, repeating, reading, writing, and playing with words throughout every aspect of instruction. ELLs need instruction in different vocabulary words than their native-speaking peers. academic words that indicate relationships among other words (such as because, therefore, and since to indicate cause and effect). ELLs need different vocabulary teaching techniques and strategies than their native-speaking peers. ELLs who are literate in a language that has many words that are similar in meaning and form to English words should be taught to recognize these cognates and use them to create meaning. The meanings of words are acquired through multiple opportunities to hear, say, read, and write the words in slightly different meaningful contexts. Teachers will have to create these contexts in the classroom, since incidental learning of vocabulary cannot be relied on for ELLs. Explicit explanations of unknown words should include contextual support through real objects, pictures or drawings, gestures, examples, demonstrations, or experiments that accompany the verbal explanations. The use of context clues to infer meaning is not always successful with ELLs because they may not understand the context well enough to infer an accurate meaning. Having to explain what a word means to other students helps develop comprehension of the full meaning of the word. ELLs are more likely than native speakers to lack the background knowledge necessary for understanding texts. ELLs' prior educational experiences may have been substandard or interrupted, so reading texts that assume certain prior knowledge becomes difficult. Even for students with good educational backgrounds, cultural differences and culturally based assumptions can result in a lack of background knowledge and thus loss of comprehension. Whatever the reasons for a lack of necessary background knowledge, before asking ELLs to read a particular text, teachers must identify information that is prerequisite for understanding the text, evaluate students' prior knowledge of these prerequisites, and fill any gaps that are found. The best kinds of activities for building background knowledge are those that get students involved in manipulating language and concepts, rather than just receiving information from the teacher. These include experiential activities such as science experiments, classification activities, role playing, previewing a reading and generating questions about it, and sharing predictions about the answers to those questions. The language level of the text to be read, compared with ELLs' language proficiency, is a major factor in how much they will understand of the text. Even advanced ELLs and those who have been redesignated as fluent in English will experience difficulty with unusual vocabulary, figurative language, very complex sentence structures, or unfamiliar styles and genres (just as many native speakers of English do). For this reason, the integration of intensive language development with reading instruction is highly recommended for ELLs at all levels of language proficiency. Reading comprehension instruction for ELLs needs to be modified to address their needs. Provide as much nonverbal support for reading comprehension as possible, including pictures, diagrams, real objects, gestures, acting, and graphic organizers. The support can be used both for helping students understand a reading passage and for assessment, so students can show what they have understood in ways that are not entirely dependent on verbal ability. Explicitly teach comprehension strategies, such as reader-generated questions, summarizing, and monitoring comprehension. Remember, however, that teaching strategies is not enough; students must practice them with texts that are accessible at their level of language proficiency. If students don't experience successful application of the strategies, they won't even try to use them with other texts. Plan interactive activities around reading and interpreting texts. Sharing ideas, comparing perspectives, and coming to agreement (or agreeing to disagree) are all ways that students use the language of the text in meaningful ways, and thus progress to higher levels of language proficiency and reading comprehension. 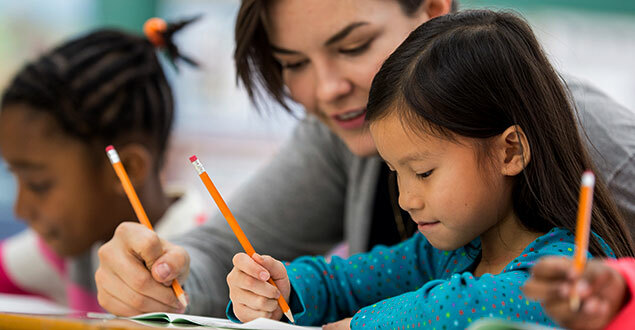 The original intention of this article was to provide specific suggestions for modifying reading programs to meet the needs of English language learners, based on the findings of the National Literacy Panel. Because of the paucity of appropriate research studies, however, the recommendations made in the NLP report are not extensive enough to help teachers build appropriate reading programs for ELLs. I therefore looked beyond the NLP findings and included theory and experience as well as research. I hope that readers will take this synthesis of research, theory, and experience and integrate it into their ongoing examination of what they do in their classrooms, what happens as a result of what they do, and why it happens. Research can tell us which kinds of practices are effective in general, but ultimately only individual teachers can determine what is most effective for them and the particular group of students they are teaching at the moment. August, D., & Shanahan, T. (Eds.). (2006). Developing literacy in second-language learners: Report of the National Literacy Panel on Language-Minority Children and Youth. Mahwah, NJ: Lawrence Erlbaum Associates. Collier, R., ∓ Thomas, W. P. (1997). School effectiveness for language minority students. Resource Collection Series #9. Washington, DC: National Clearinghouse for Bilingual Education. From The ELL Outlook, a publication of Course Crafters, Inc. Reprinted by permission. To subscribe to The ELL Outlook, please visit www.coursecrafters.com. I think when I teach vocabulary, I usually use cognate words as synonyms or the words have same root. It works better than repeat several times. Frequently, When we teach lessons on vocabulary, we prepare the word list first, after leading students know these words, we will show the explanations. Even through, we played game to practice remembering the words. Students sometime could not recognize them out in the articals. After we did the research, and use the way which help student connecting with cognate words. Students made progresses on their reading. This is also why I prefer to use different sorts of skills to make the class more effective. Has any research been done on effective class order in terms of the basic skills? For example, it's better to teach writing/reading before speaking class.